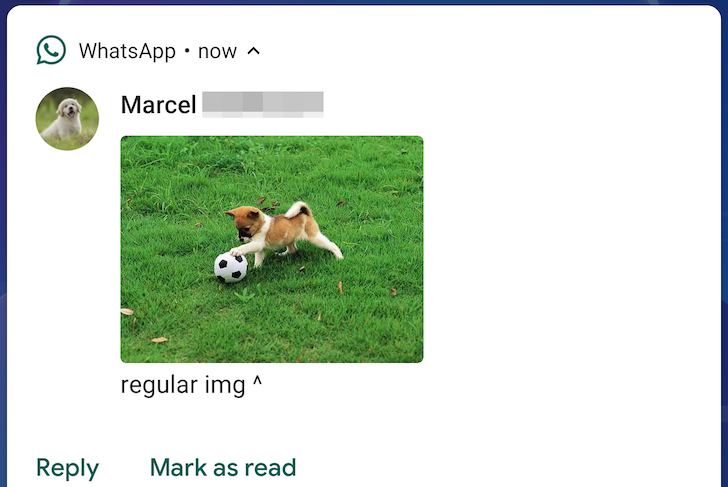 Like many other messaging services, WhatsApp has shown inline photos in notifications for a long time. 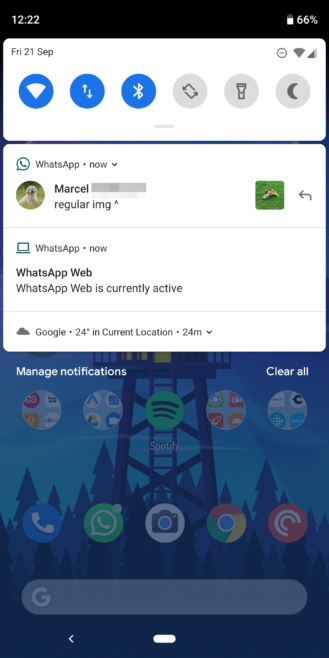 But with the arrival of Android 9 Pie, Google changed how things are done and introduced a proper MessagingStyle notification style with support for inline pics and stickers. In the past couple of days, WhatsApp has implemented it in the beta channel. Now, when you receive an image over WhatsApp on an Android 9 Pie device, the notification will expand and collapse to show the picture. The rest of the text messages will still show above/below it, which is quite neat. The feature works for still images, but not GIFs or videos. 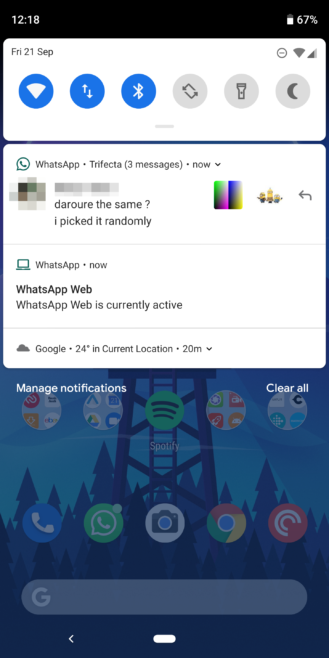 Those still show a small icon indicating you received them, but they don't expand and let you preview them in the notification. 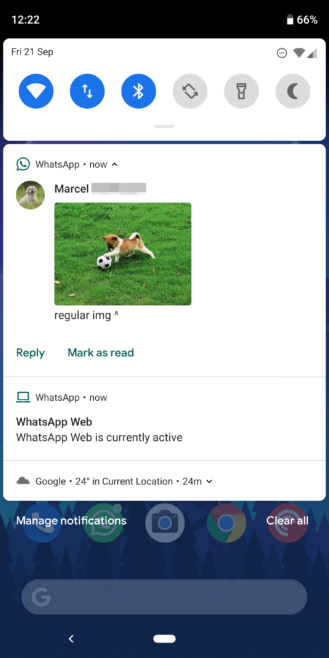 If the recipient is part of a group, you still get the image inline among the messages in the expanded notification, but when collapsed, it moves to the right and gets the group icon next to it. The side effect is that if you're running an older version of Android, the image preview no longer works. 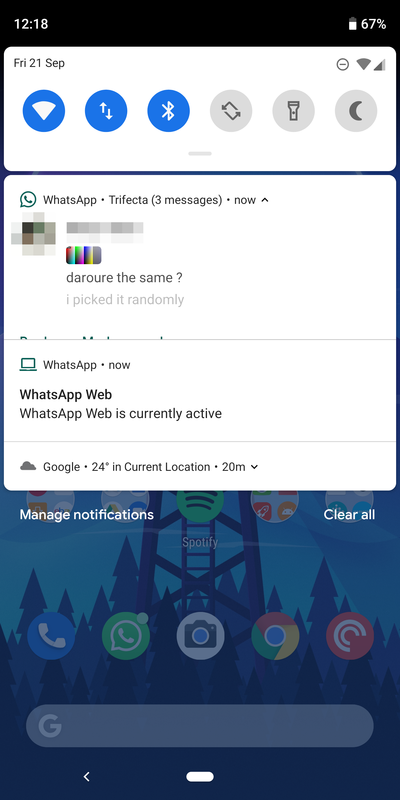 It seems that WhatsApp had to break that to enable it on Pie. I don't know a lot about Android development, but I think WhatsApp can have slightly different APKs to target different versions of Android, thus allowing it to maintain the workaround for image previews on Oreo and below, but also implementing the new MessagingStyle API on Pie. As I mentioned at the start of the post, this native inline image support for Android Pie was added in the past few days on the beta channel — we're not sure which version exactly introduced it but you can see it in v2.18.291 (APK Mirror).